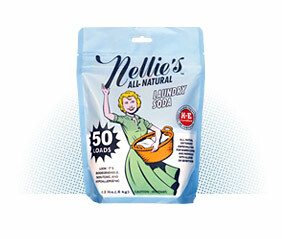 Nellie's All Natural Laundry Detergent was inspired by -you guessed it - Nellie. Nellie was a real person with real values. She believed in honesty, simplicity, and saying it like it is. And it is these beliefs that have inspired us to develop a line of non-toxic, hypoallergenic, and environmentally friendly cleaning products that reduce consumption and allow you to use only what is needed.